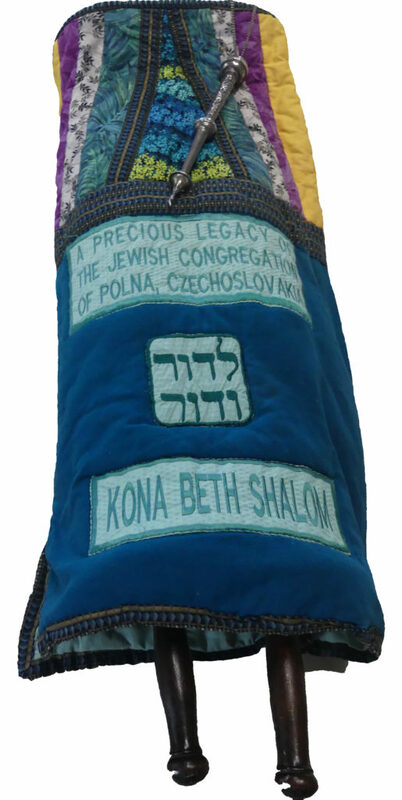 At Kona Beth Shalom we are honored to use a Torah rescued from the ashes of the Holocaust. Originally from the town of Polna in the former Czechoslovakia, the scroll, to the best of our knowledge, was written almost three hundred years ago. In 1943, in the midst of World War II, the Nazis invaded Polna and removed its Jewish inhabitants to the camps where they were murdered, a tragedy repeated in towns and cities across Czechoslovakia. The Jewish “treasures” looted by the Nazis from homes and synagogues were sent to Prague where they were meticulously sorted and catalogued, destined to become part of a “Museum to a Dead Race” to be built after the war. Instead, the Nazis were defeated, leaving behind this trove of sacred items including Torah scrolls, Torah ornaments, tallit, holy books and menorahs. More than a decade after the war’s end, almost 1600 Torah scrolls were purchased and brought to Westminster Synagogue in London, England. 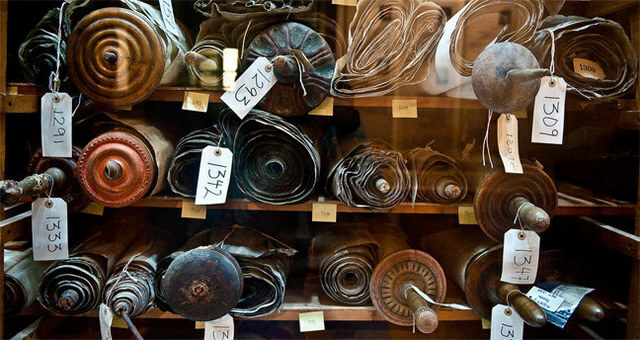 The Memorial Scrolls Trust was formed to preserve and share as many of these Torahs as possible. Some were damaged beyond repair, but many could be restored so they could once again be used for worship service, including the one presented to Kona Beth Shalom on permanent loan in 1985. “When the Munich Agreement was signed on 29 September 1938, Britain and France agreed to Hitler’s demand to be given the German speaking border regions of Czechoslovakia, and the Germans marched in. The Jews from about sixty congregations in the prosperous industrial and commercial towns in the Sudetenland had 2 or 3 days to flee to the interior, which was still a free and sovereign country. They left behind their synagogues, which were in German hands in time for the destruction of the Pogrom of November 1938, when synagogues across the expanded Germany, which now included the Sudetenland, were burned or vandalized and looted. In almost every case the ritual treasures of these Sudetenland synagogues were destroyed or lost. “In the remainder of Czechoslovakia, which included Prague, the synagogues and their swollen congregations were safe for the time being, and there was no program of destruction, even when the Germans invaded the rest of the country in March 1939. In 1940, the congregations were closed down, but the Jewish community administration was used by the Germans to execute their stream of decrees and instructions. In 1941 the first deportations started and mass deportations of Jews took place throughout 1942 and into January 1943. Then, all that was left in these Czech towns were the half-Jews, some Jews from mixed marriages, the empty synagogue buildings and the homes of the Jews. “These remaining Jews were then given the task of liquidating the communal and private Jewish property in the towns, including the contents of the synagogues. 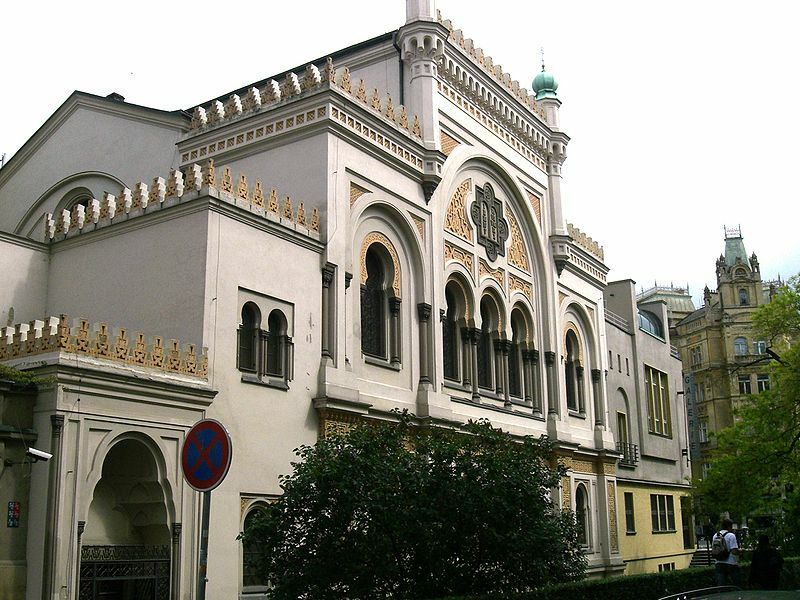 Their instructions were to send the contents of the synagogues to the Jewish Museum in Prague, and, with a few exceptions, the Torah Scrolls, gold and silver and ritual textiles were sent to Prague, along with thousands of books and even clocks and pianos. The remaining Jews were deported in 1943 and 1944, and quite a number survived. “The inventory of the Prague Jewish Museum expanded by fourteen times as a result, and a large number of Jews were put to work by the Germans to sort, catalogue and put into storage all the items that had come from over one hundred congregations in Bohemia and Moravia. It needed over forty warehouses, many of them deserted Prague synagogues, to store all these treasures. When the task was eventually completed, the Jews who had been put on to this work were themselves deported to the Terezin concentration camp and death. There were few survivors. “It is generally accepted that the accumulation of this vast hoard of Judaica was intended by the Nazis to become their museum to the extinct Jewish race. However, it is unclear whether the gathering together of this collection was part of a premeditated plan to assemble the artifacts for a museum, or whether, once the reality of the collection was apparent, the idea of the museum to the extinct race was born. “After the defeat of Germany, a free and independent Czechoslovakia emerged, but it was a country largely without Jews. Most of the surviving Jews in Prague and the rest of Bohemia and Moravia were from Slovakia and further east from Sub-carpathian Ruthenia. Prague, which had had a Jewish population of 54,000 in 1940, was reduced to under 8,000 by 1947, and many of these soon left. “On 27 February 1948, after less than 3 years of post war freedom, the Communists staged a coup and took over the government of Czechoslovakia. The country was back under dictatorship. The Prague Jewish Museum came under government control, and was staffed mainly by non-Jewish curators. The Torah Scrolls in the Michle Synagogue building also came under public ownership. The Jewish Museum put on the exhibition of the collected Judaica. “The 18th century Michle Synagogue, with its thick stone walls, is built into the hillside deep in the valley suburbs of Prague. 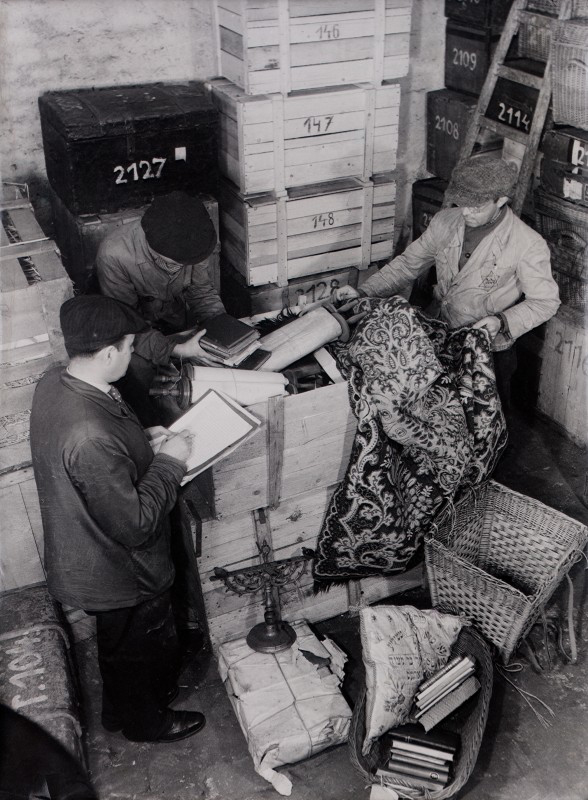 In 1958 it became the damp warehouse to which were transferred the hundreds of Torah Scrolls from the large Prague Jewish community and from all the much smaller communities that were scattered across what was left of Bohemia and Moravia, after the Sudetenland had been detached. The Scrolls in the Michle Synagogue did not include Scrolls from Slovakia, which the Germans had put under a separate administration. “Eric Estorick, an American living in London, was an art dealer who paid many visits to Prague in the early 1960’s and got to know many Prague artists, whose work he exhibited at his Grosvenor Gallery. A frequent visitor to Prague, he came to the attention of the authorities, and, on a visit in 1963 he expressed some interest in a catalogue of Hebraica in a government owned bookshop. He was approached by officials from Artia, the state corporation that had responsibility for trade in works of art, and asked if he would be interested in buying some Torah Scrolls. “He did not know the Israelis had been approached previously with a similar offer, but those negotiations had come to nothing. Estorick was taken to the Michle Synagogue were he was faced with wooden racks holding anything up to 2000 Scrolls in seriously damp conditions. Shaken, he was asked if he wanted to make an offer, and he replied that he knew certain parties in London who might be interested. “On his return to London, he contacted a fellow American, Rabbi Harold Reinhart, of the Westminster Synagogue, one of whose congregants, Ralph Yablon became the benefactor who put up the money to buy the Scrolls. 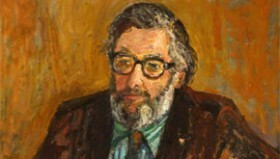 First, Chimen Abramsky, who was to become Professor of Hebrew Studies at the University of London, was asked to go to Prague for twelve days in November 1963 to examine the Scrolls and to report on their authenticity and condition. On his return to London, it was decided that Estorick should go to Prague and negotiate a deal, which he did. Two lorries laden with 1564 Scrolls arrived at the Westminster Synagogue on 7 February 1964. “After months of sorting, examining and cataloguing each Scroll, the task of distributing them began, with the aim of getting the Scrolls back into the life of Jewish congregations across the world. The Memorial Scrolls Trust was established to carry out this task.